Minister of Finance and Media Mangala Samaraweera in the course of a heated argument with Minister of Health, Nutrition and Indigenous Medicine Rajitha Senaratne said that the current cabinet is the weakest he has ever been a part of. The argument took place during the cabinet meeting this morning (July 31) when Senaratne sought Cabinet to approve a salary hike for railway workers. Senaratne, who had along with Minister of Science, Technology, Research, Skills Development and Vocational Training Sarath Amunugama, met with striking railway workers yesterday, had promised to move Cabinet to meet their demands. 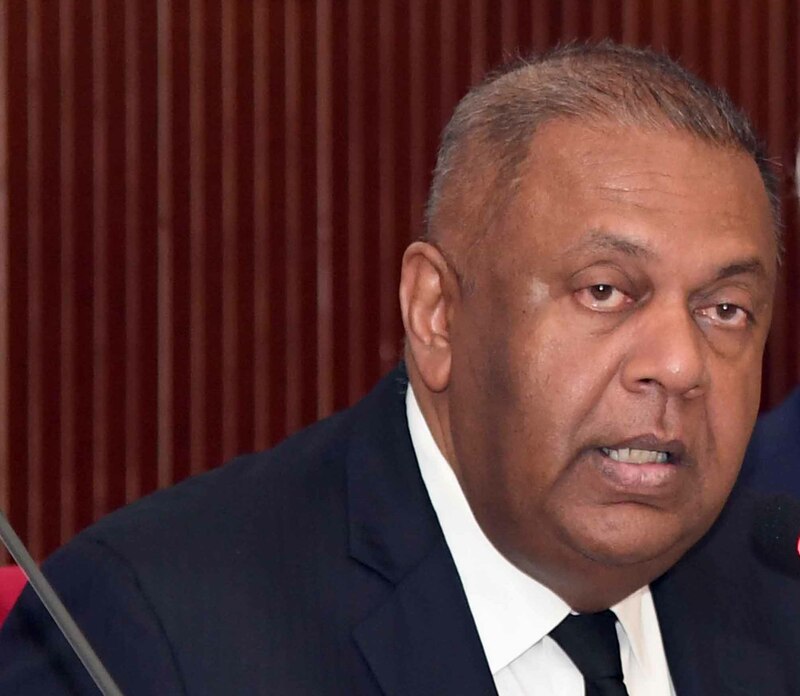 Samaraweera however had objected, pointing out that the Treasury as well as the President had agreed to streamline salary increments so that salary hikes will be uniform across sectors in accordance to a single formula. He pointed out further that ad hoc decisions on salaries could prompt other sectors to make similar demands. Samaraweera insisted that a country cannot be governed in this manner. Although the issue does not come under Senaratne’s ministerial purview, he continued to urge cabinet to give into the striking workers. Amunugama meanwhile argued that if the strike action is not dealt with there could be serious repercussions, especially for Advances Level students who are due to sit the examination in August. Violence Against Tamils At Peradeniya University: A Portent?